When it comes to student data analytic tools, knowing what to do with the information makes a huge difference for teachers and their students. Hoonuit, an education technology company that provides teacher learning support and analytic insights, goes a step beyond simply identifying that a student might be struggling by backing up each report with proposed solutions for how to help them improve. The Hoonuit daily learning assist helps promote educators’ professional development and certification, while the insights tool acts as a teacher’s aide to collecting and reviewing student performance data. To help make all this possible, there’s a lot of software engineering, research and development that needs to take place behind the scenes. 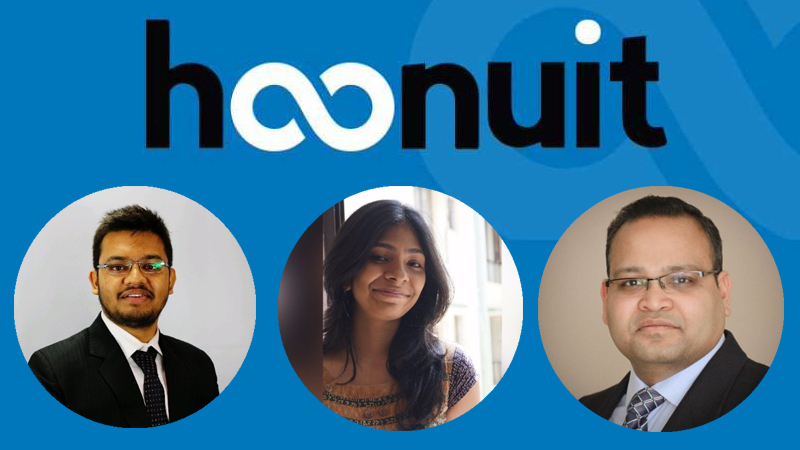 That’s why Sujit Maharana, Hoonuit’s director of Engineering and IT, decided to turn to the SciTechsperience Internship Program to bring on some extra talent. Nivetha Ramakrishnan, a software engineering major at the University of Minnesota, applied to Hoonuit after she found its internship posting on the SciTech job board. In Ramakrishnan’s interview, Maharana asked her to write a program on the spot, watching as she coded. Once Ramakrishnan started her internship, she continued to deliver with similarly exceptional results. While she gained exposure to industry-level R&D, she helped Maharana and his team figure out how best to incorporate the incoming data from multiple schools and external systems, making sure it all synced correctly with the Hoonuit software. Not long after she was hired, Ramakrishnan suggested that her classmate Akash Dutta, also a software engineering major at the U, apply for a Hoonuit internship as well. After passing the same coding test that she had, he joined the team. Before Dutta and Ramakrishnan could start coding, they needed to learn how Hoonuit’s code base worked. To accommodate their understanding, Maharana gave his interns time to explore the system so they could learn what they needed in order to work on their tasks more effectively. Ramakrishnan and Dutta rotated around departments, assisting different team members with different tasks, learning about different responsibilities and seeing how they all came together during the daily company scrum meetings. When Maharana started looking for interns, he said, he knew he wanted to bring in individuals who understood the impact of the company and whose careers could improve because of this internship experience. Learn more about the SciTechsperience Internship Program, apply online and create your own meaningful internships that support your company and Minnesota’s growing STEM workforce. Small Minnesota companies receive up to $2,500 to help pay a STEM intern. At least 350 wage matches are available through August 2019.